Any sentence which includes the term “scientists say” – can normally be assumed to be completely fraudulent. Ocasio-Cortez says that the world will end in 12 years but wants 100% renewable energy by 2035. That 3rd link is the best and most reliable of the three. I hope Scott Adams doesn’t mind me posting this one. The Dilbert cartoon- Brillant!!! So timely too. 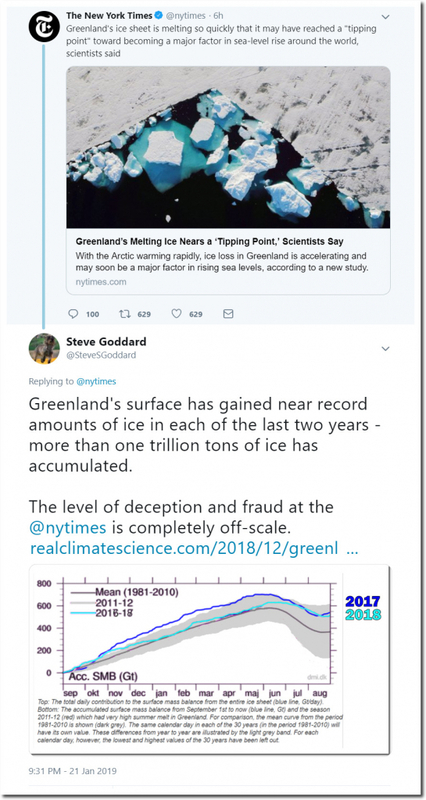 And as you have been told repeatedly 99.7% of the Greenland ice mass survived the 20th Century, and it survived massively warmer periods in the past too. It’s kms thick and at no significant risk except in fraud/fiction. As usual, you are correct sir! Calving only happens because of more snow. As you have been told repeatedly, SMB covers the climate related part – accumulation vs. surface melt. Calving rates are difficult to calculate correctly, and have little or nothing to do with the current climate. … but you chose to remain IGNORANT so you can keep wetting your bed about Arctic ice problems. 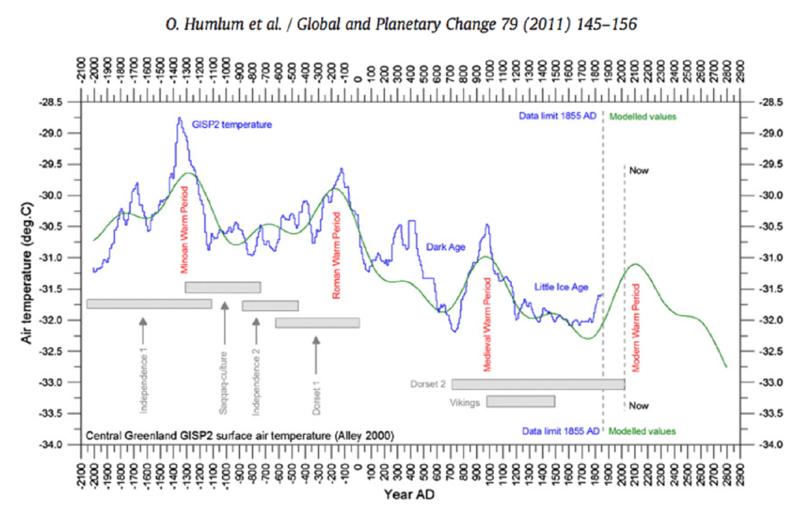 Even a climate scientist should be able to make an accurate projection from that chart. 52% 97% consensus = science with as many plottholes as 97% of hollywoods science fiction movies,just less closer to reality. “Scientist say” has become the new Simon says. 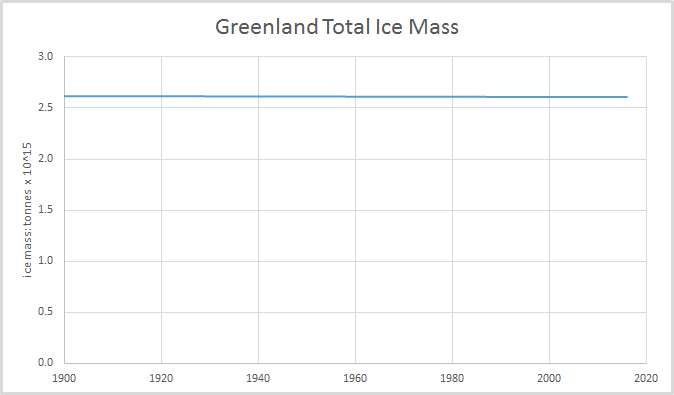 People afraid of melting greenland ice should just take a look at the sea level during that period when greenland got its name greenland and before it turned white again and killed the viking population. That”s the sea level one can expect nowadays if greenland reaches its non-co2 related,non-existent tipping point. Sea level rise has been nominal for a hundred years. Greenland’s ice sheet melting so rapidly has had double ought zero impact on sea level rise. Ipso facto, Greenland’s ice sheet melting is irrelevant. They just disproved that it matters. Apparently George was an avid reader of the New York Times.